IXTLAN DEL RIO, Mexico (AP) — The U.S. government said it was starting work Tuesday to “harden” the border crossing from Tijuana, Mexico, to prepare for the arrival of a migrant caravan leapfrogging its way across western Mexico. A group of several hundred migrants moving ahead of the caravan made it to Tijuana on Tuesday aboard a fleet of buses. To the thousands of Central American migrants making their way through Mexico’s Pacific coast state of Nayarit, the prospect of meeting a hostile reception at the border is nothing new. Maribel, who did not want her last name used for fear of reprisals in Honduras, pushed a baby carriage with her 1-year-old daughter while her husband pushed another with their 3-year-old son along a highway leading from Guadalajara to the Nayarit state capital of Tepic. Few trucks passed, and migrants felt stranded. About 1,300 migrants in a second caravan arrived in Mexico City, where they had their first day of rest in weeks Tuesday. Roberto Hernandez, 39, a bricklayer from San Pedro Sula, Honduras, was finally able to get a shot of antibiotics for the fever he has had for two weeks. He was staying at the same tent shelters set up for the first caravan at a sports stadium in Mexico City. But things were especially tough for the first caravan. The estimated 6,000 Central Americans left shelters in Guadalajara early Tuesday and were taken by bus to a highway toll plaza to wait for rides to their next destination. They thought other buses would be waiting for them to take them through hurricane-ravaged Nayarit to the neighboring state of Sinaloa, farther north. But no other buses showed up and few trucks passed to pick them up, leaving many to walk the 60 miles (90 kilometers) to the state line. Maria Antonia Martinez, 40, of Ocotepeque trudged along with her 7-year-old daughter after failing to get a ride. “They told it was five kilometers (three miles), and that wasn’t true,” Martinez said, after walking five hours in the burning sun along an empty highway. Late Tuesday, hundreds were still stranded at the toll plaza and bedding down in its side lanes for the night. Those with better luck — the majority — made it as far as La Concha, in the Sinaloa state municipality of Escuinapa some 220 miles (356 kilometers) to the northwest. The Rev. Miguel Angel Soto, director of the Casa de Migrante en Culiacan, said about 2,000 migrants had arrived in that area. He said the Sinaloa government, the Roman Catholic Church and Escuinapa officials were helping the migrants. The priest also said the church had been able to get “good people” to provide buses for moving migrants northward. He said so far 24 buses had left Escuinapa on an eight-drive to Navojoa in Sonora state. The first caravan appears intent on taking the Pacific coast route northward to the border city of Tijuana, which was still about 1,350 miles (2,200 kilometers) away. The migrants have come about 1,500 miles (2,400 kilometers) since they started out in Honduras around Oct. 13. However, some small groups broke off along the way and went on ahead, either using buses, trains or long-haul truck rides to get to the border quicker. Small groups were reported in the northern cities of Saltillo and Monterrey, in the region near Texas. 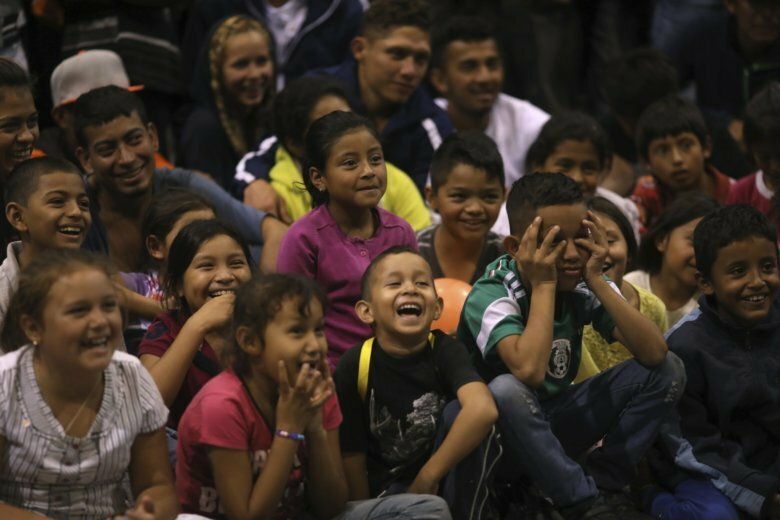 The Tijuana city government said Tuesday that about 350 migrants had arrived and were receiving food before being sent to shelters around the city. Jason M-B Wells, executive director of the San Ysidro Chamber of Commerce, said Tuesday in an email that the Tijuana Secretary of Economic Development and local businesses had identified 3,000 jobs for migrants who decide to stay. Associated Press writers Mark Stevenson in Mexico City and Elliot Spagat in San Diego contributed to this report.